It’s almost spring and I can hardly contain myself. 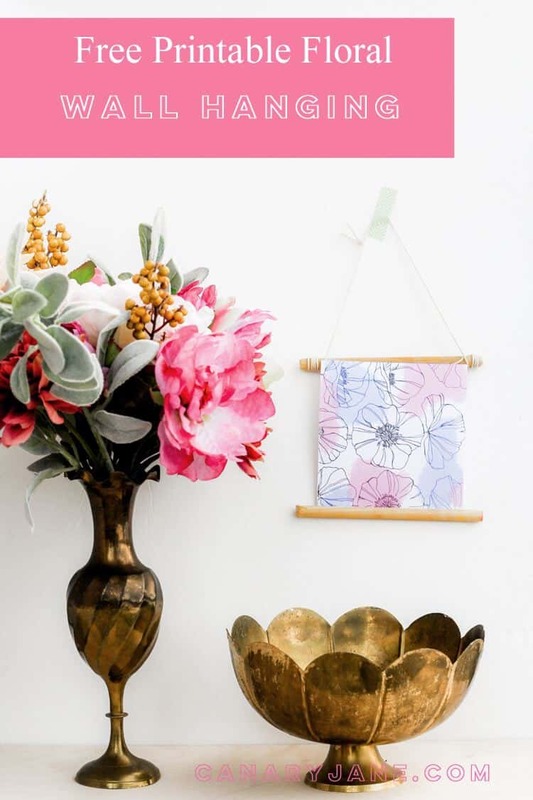 In this post I will share this printable floral print as well as a tutorial on how you can make your own hanging print. First of all though I have to say, “Hello all of you crafty frugal peeps!” Natashia from CanaryJane.com here. High fives to all of you for doing what you do! If I’ve learned anything, it’s that life is crazy and we have to find time for ourselves and to do what we love. I also am a strong believer in building others up. So keep on keeping on. 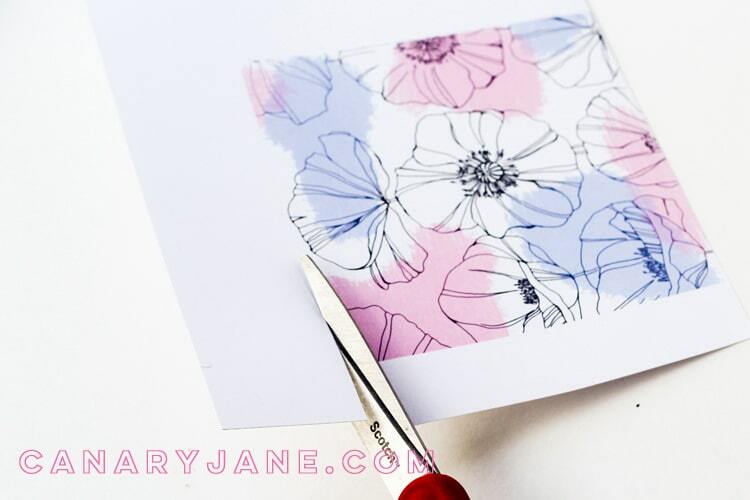 I’ve created this lovely botanical printable just to get you excited about the beautiful blossoms coming our way. 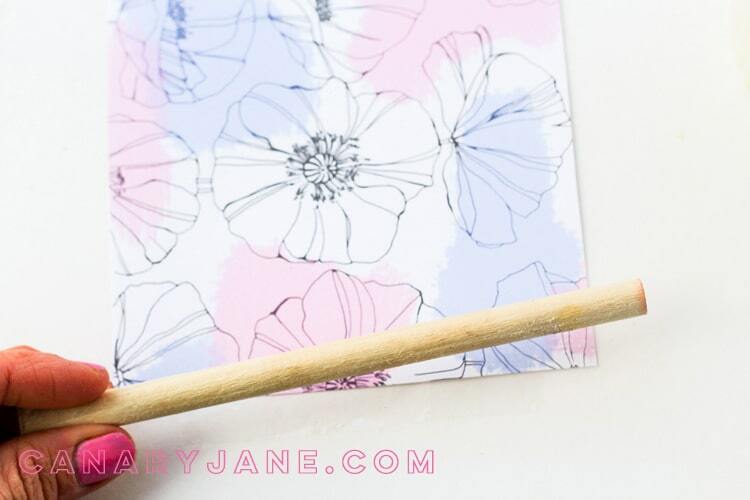 You can print this beauty and put it in your own frame, use it to write a happy note to a friend, or make this dowel hanging. Check out the instructions below. 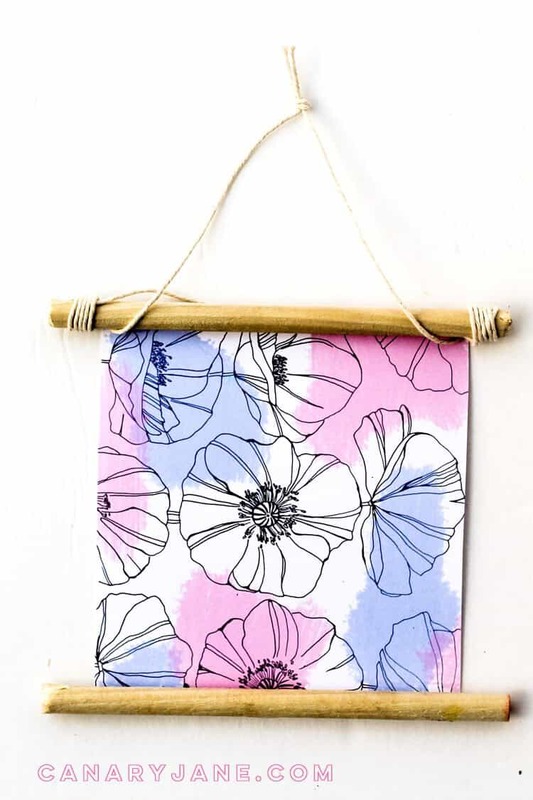 Ok now you’re ready to make your amazing hanging. Here’s how to do it.Step 1. Cut out the image you printed. Step 2. Trim the dowel with the dyke so it is 1 inch longer on each side of the hanging. So if you printed a five-inch file trim it so it is seven inches. If you printed the eight-inch file trim the dowel so it is ten inches long. Step 3. 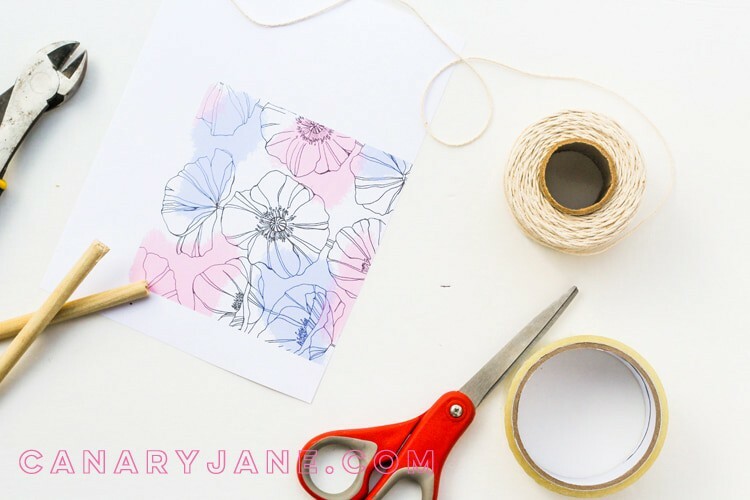 Take a piece of packing tape the length of your print and place half of it onto the print. Step 4. 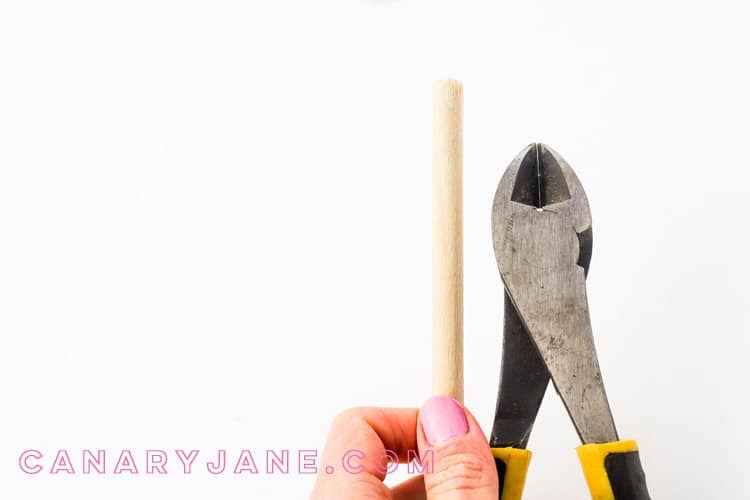 Take the dowel and secure it to the tape so the tape rounds around the dowel. If needed add a line of tacky glue to the bottom of the print where the dowel should be to secure. Repeat for both ends. Step 5. The last one! Good job. Next cut the twine so it is about 24 inches long. Lay the twine out and find the middle. 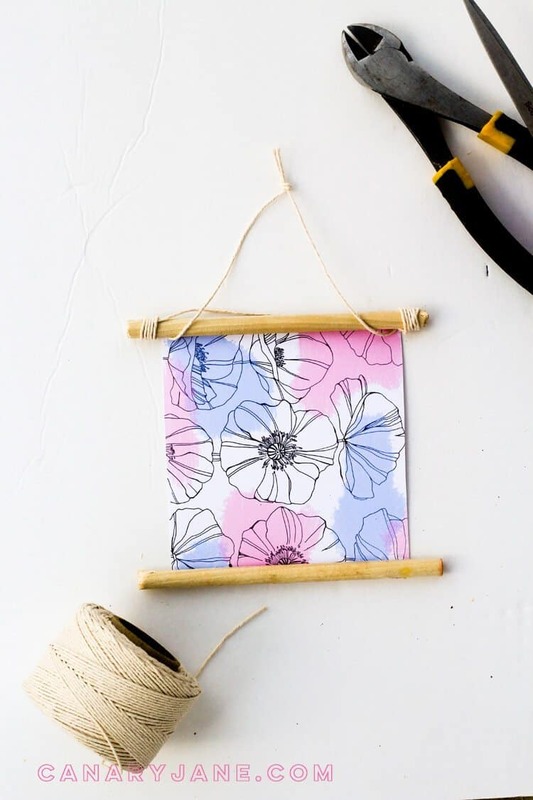 Place your print on the top middle of the twine. To wrap the twine pull it tight so it is even between the print. Wrap the twine around each end about five or so times. Next bring both ends pulled tight to the top and tie a know. Voila! That’s it you craft masterminds. Perfect Easter gift or way to celebrate the beauties of Spring. I also used the Pantone Colors of the year! So now you’re festive and stylish. Muah! Kisses! 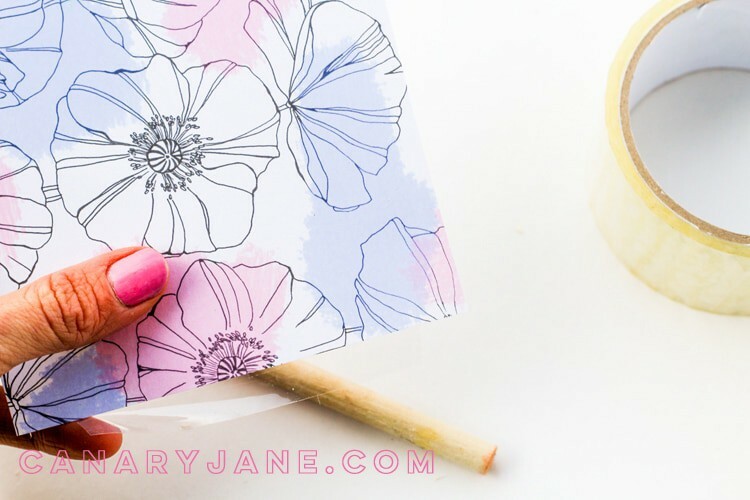 You can read more from me on CanaryJane.com, my Instagram, Twitter, Pinterest, and Facebook page. You liked that? Check these out!